A Fort Kent Police Department cruiser is seen in this BDN file photo. Five teenagers were involved in a single-vehicle crash that destroyed the car they were in on Wednesday afternoon. 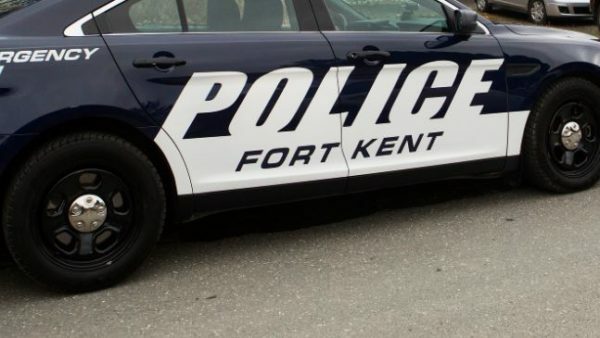 All of the teens escaped with only minor injuries, according to Fort Kent police Chief Tom Pelletier, who responded to the crash with another officer. He said the crash happened just before 5 p.m. near Thibeault Flats on the Frenchville Road. Members of the Fort Kent Fire Department and Ambulance Service assisted at the scene. Pelletier said more information will be made available Thursday once the officers have completed their investigation into the crash. Twins Service Station of Fort Kent towed the vehicle from the scene.